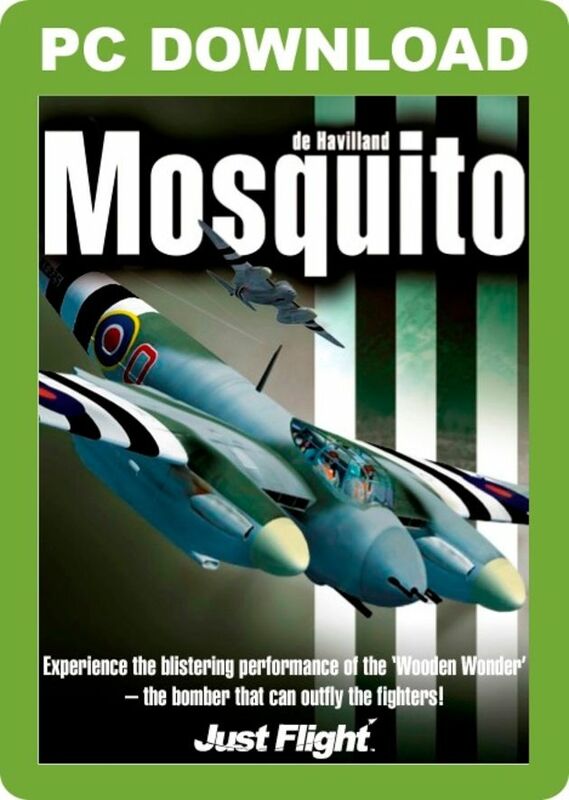 Mosquito is fully licensed by the Royal Air Force and has been developed to the very highest standards by the vintage aircraft experts at Aeroplane Heaven as a lasting tribute to this amazing aircraft. 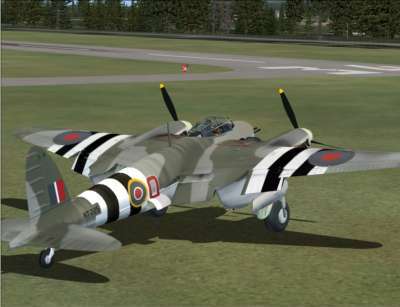 Mosquito includes three classic Mosquito variants - the B. Mk IV, the FB. 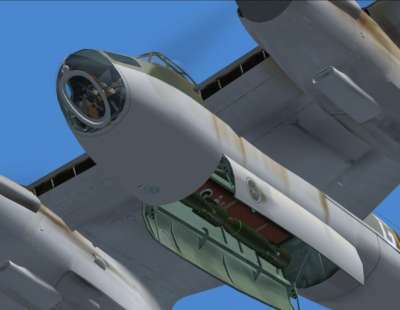 Mk VI and the frightening FB Mk XVIII Tsetse with its underslung flak gun. 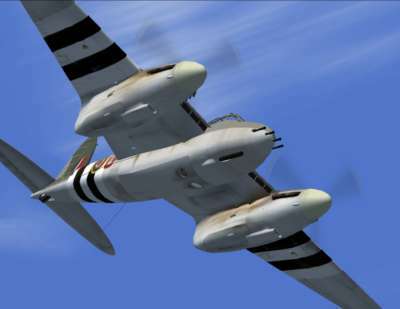 Built from wood and powered by two Rolls-Royce Merlins, the Mosquito was a formidable aircraft with the speed of a fighter, the manoeuvrability of a racer and the payload of a bomber. 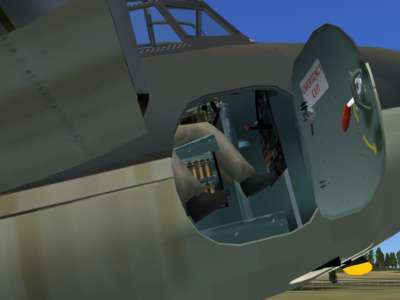 The high-quality models are accompanied by many unique animations and superb textures covering a range of aircraft along with the distinctive sound of the Rolls-Royce Merlin engines. 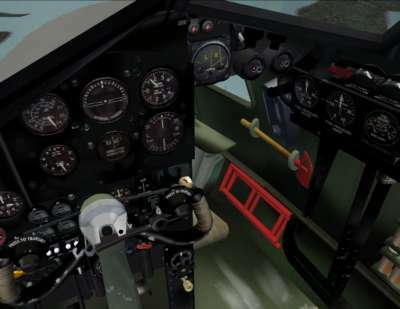 The cockpits are equipped with the latest 'smooth' gauges for more realism and just about every switch, button and control lever operates with the mouse - even the crew doors open with the lever! Everything is historically and technically authentic right down to the panel bolts and brackets. 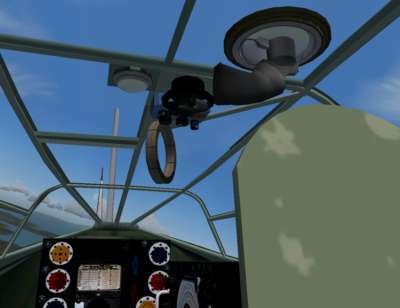 In the bomber version, the 'bomb room' is equipped with a working bombsight, arming switches and bomb trigger. 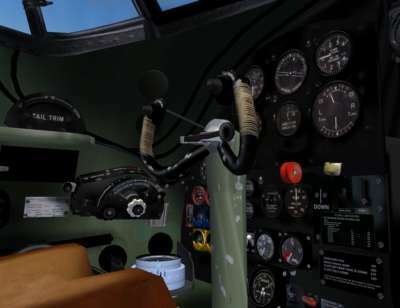 Even the emergency axe hangs on the fuselage wall! 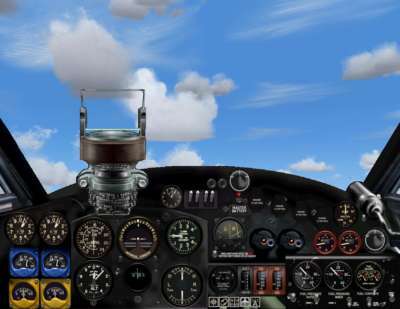 The exterior models are finely detailed with correct movement for the flaps, radiator shutters, rudder and elevator trim tabs, bomb doors and more. 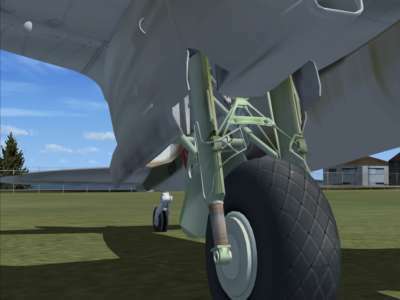 The landing gear is highly detailed down to brake lines and hydraulic actuators. 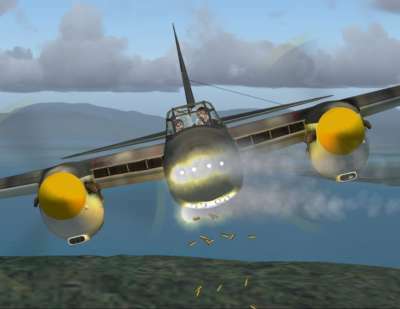 Many novel effects are featured, including dropping of ordnance, smoke and firing guns. 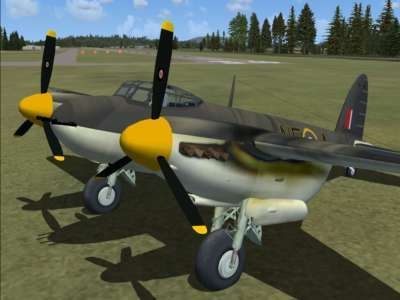 There are three detailed Mosquito variants with four liveries included in this package. 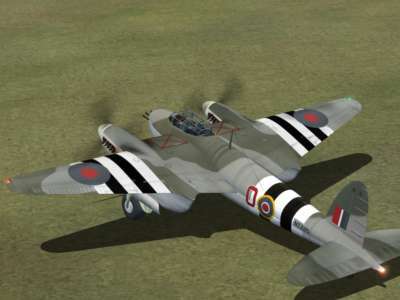 Mosquito B. Mk IV - 'GB-G' DK296 105 Squadron, No. 2 Group, mid-1942. 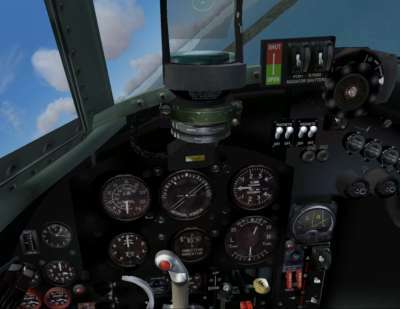 This is the aircraft which led the famous attack on the Gestapo headquarters in Oslo, Norway on the 25th September 1942. Mosquito FB. Mk VI - 'NE-A' HR 405 of 143 Squadron RNFAA, flown by Flg Officers A V Randell and R R Rawlins, Banff Strike Wing. Mosquito FB. Mk VI - 'TS-B' MM404 of 464 Squadron RAAF, flown by Sqn Ldr Ian McRitchie and Flt Lt R W "Sammy" Sampson 18th February 1944. 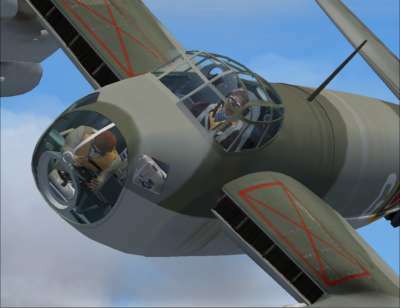 This aircraft was involved in the famous Amiens Prison raid. 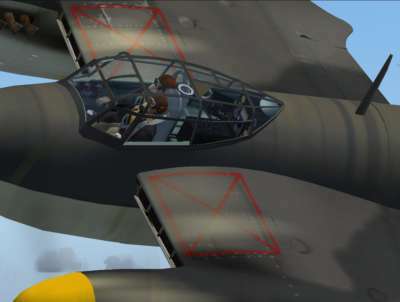 Hit by flak, McRitchie, badly wounded crash landed TS-B and survived as a POW. Sampson did not survive. 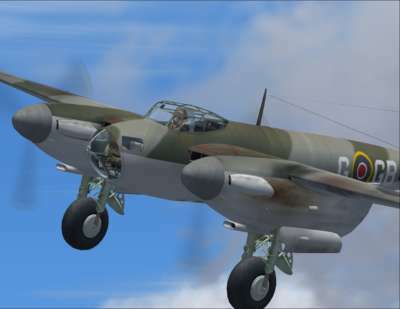 Mosquito FB. Mk XVIII 'Tsetse' - 'O' NT225 of 248 Squadron RAF 1945 the ground attack and anti-shipping fighter-bomber developed from FB Mk VI. A Molins 6-pounder 57mm cannon firing 25 rounds carried and 4 x .303 machine guns made up the armament. 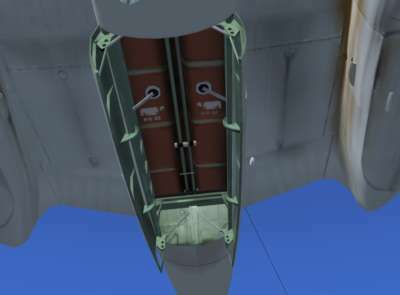 In the bomber versions, the ‘bomb room’ is equipped with a working bomb sight, bomb-arming switches and bomb trigger. 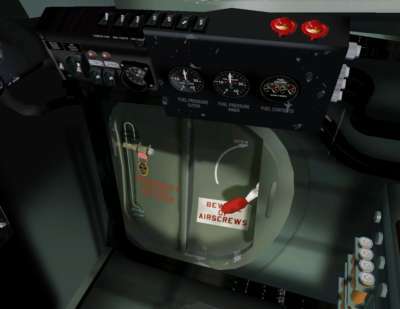 Even the emergency axe hangs on the fuselage wall! 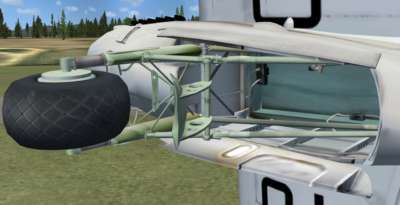 Many novel effects will be included, such as the dropping of ordnance, smoke effects and more. 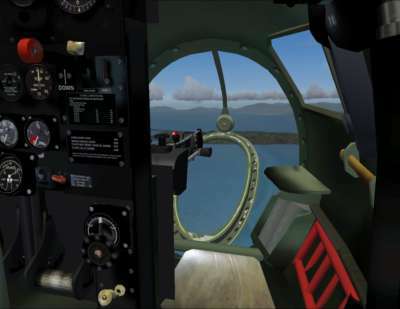 Please note that a dropped weapon will not 'destroy' any objects, as the Mosquito is hosted in Flight Simulator 2004 which does not have this function. 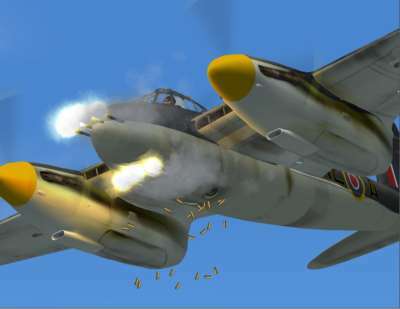 Mosquito includes three classic variants - the B. Mk IV, the FB. Mk VI and the FB. Mk XVIII Tsetse. 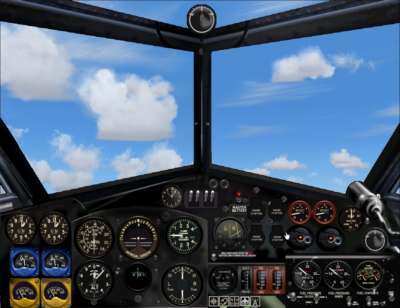 The high-quality models are accompanied by unique animations, superb textures, a distinctive sound set and technically authentic cockpits. 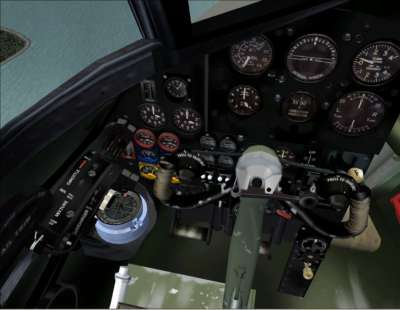 The bomber version is equipped with a working bombsight, arming switches and bomb trigger. 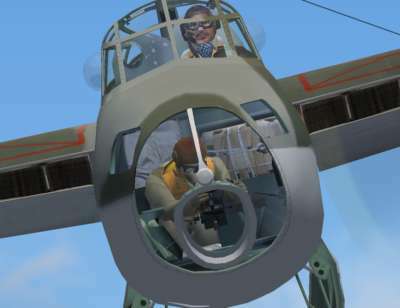 Many special effects are also included, such as the dropping of ordnance, smoke and firing guns.